Gerard has been an educator for 20 years. When he started La Cinémathèque in 2011, he was fulfilling a lifelong goal of bringing quality film education to his community. 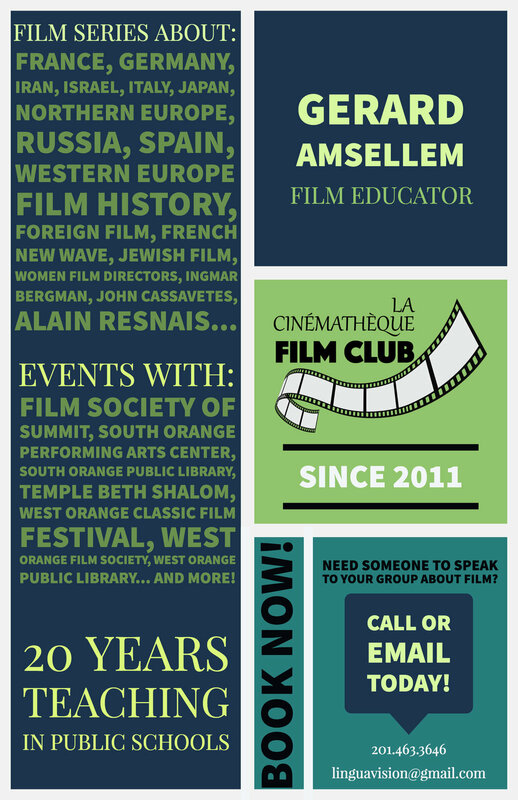 Since then, La Cinémathèque has grown to be a community mainstay through which he has hosted several series on film and its history. He has also organized events with other local institutions across northern New Jersey. Today, he continues to expand La Cinémathèque with an ever-widening array of series themes, and he hopes to partner with more local groups and institutions as a guest lecturer. To see press about Gerard Amsellem, please click here. Inquiries: Gerard can be reached at the phone number or email in the graphic to the right, or via our contact page. 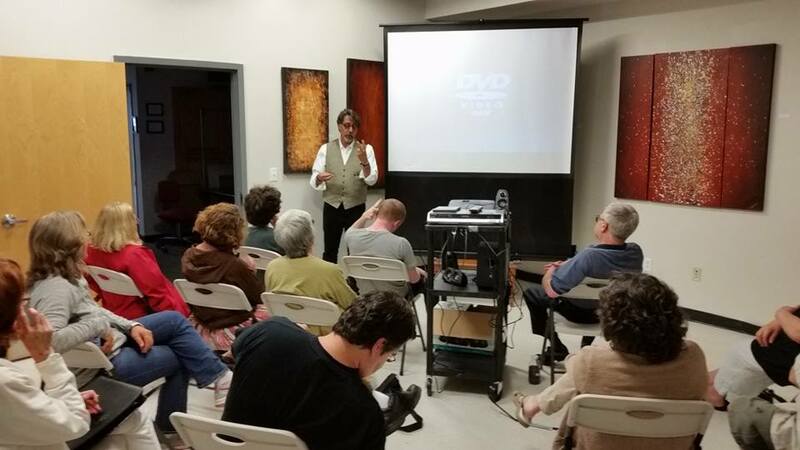 "The foreign film series run by Gerard is a wonderful gift for everyone who loves movies, and who never before felt comfortable watching foreign films until Gerard's screening lectures. Gerard shares his expertise with the audience by giving us insight into the film, stars, and director. It is always a special evening for movie lovers!"